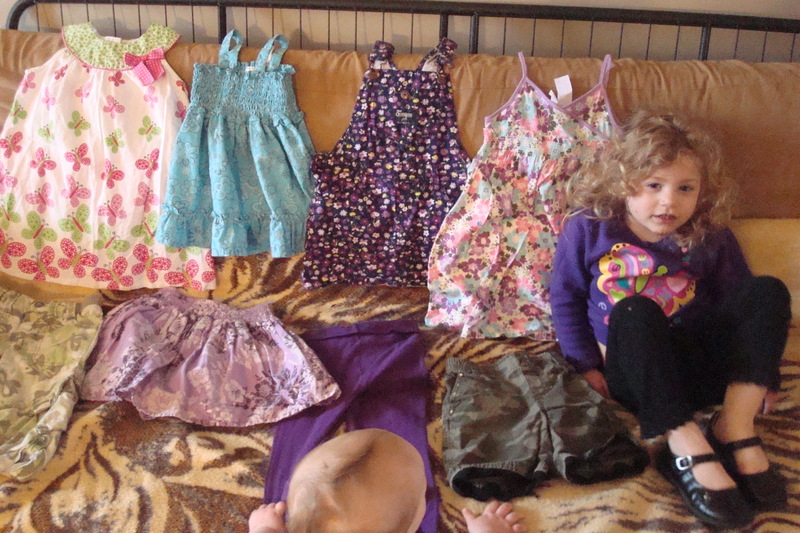 To sum it up, we got 21 clothing items (counting complete sets as one item) for $38 dollars. Since these are all very nice things in like-new condition, I consider that a great deal. 🙂 Probably just two or three of these items new would’ve cost us that much, honestly. I know I’m not the only one who loves a good consignment shop or thrift store score at just the right time! What’s one of your favorite things you’ve found at a secondhand store? Categories: Frugal Family, Living Life | Tags: 50% off, baby, bargain, children, clearance, clothing, consignment shop, deals, parenting, shopping, thrift store, used clothes | Permalink. My wife is a big fan of Thrift Stores, Consignment, Goodwill and Craigslist. We rarely buy new clothes for our son. He grows out of them within a few months anyway. We have found some great, high quality, name brand items over the last few years. And you cannot beat the prices. At first we bought a bag of shoes off Craigslist but Jaydon only wore one pair. So the last two we purchased at Target. A local kids consignment store had a 75% off sale and I scored a pair of Lucky jeans, a few Gymboree dress shirts, a Kenneth Cole dress jacket, and some Tommy Hilfiger shirts for $15! Normally that’s the price of one Gymboree shirt and that was the cheapest brand I purchased. 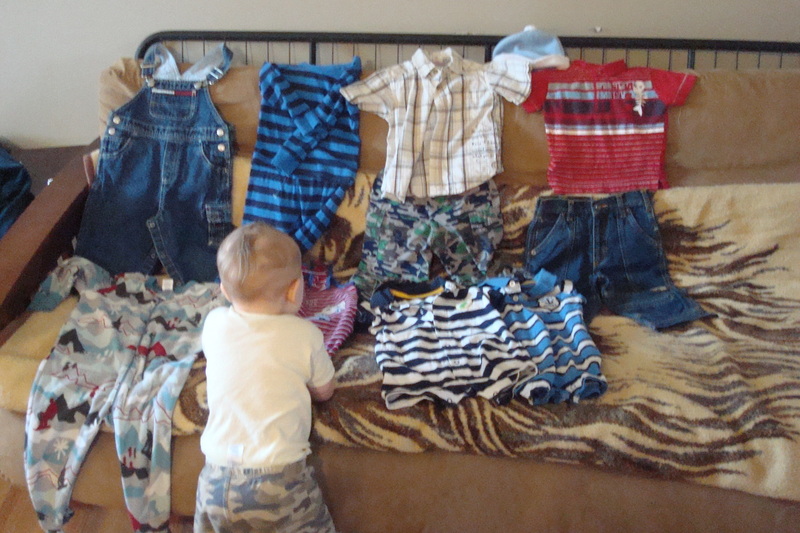 Sometimes I feel my sons are better dressed than I am because I can get their clothing cheap! I’ve never owned a pair of Lucky jeans because they are not cheap, but my son has two pair because his were such a good deal! You won’t believe what happened to me at the thrift store yesterday Keisha! I had picked up 5 articles of clothing for the kids, several pieces of large felt for doing crafts, a picture frame and a wooden kitchen chair. The total came to $8.00. I went to pay and realized I had run out of checks, had no cash and they don’t accept credit cards…I had to leave without any of my stuff!! I could have just kicked myself. They offered to set it aside but I wasn’t in the mood for driving all the way home and back! I’m going to try to get over there today if there’s time and see if they still have any of it left! Wow, that sounds like something that would happen to me! It makes me feel sick when I do something like that. Was anything left when you went back? Well unfortunately they are only open from 10-12 on Saturdays so we stopped on the way home from visiting the Easter Bunny. My husband and kids stayed in the van while I went in. I only spotted two pairs of shorts for the kids and the chair. I didn’t have time to really search again…such a bummer! I like thrift stores too! I have found nice shirts at Goodwill, and sometimes you can find nice collectible mugs! Sounds like an awesome score, and I love the pics you posted of all the clothes. And I like that you’re spreading good karma – purging your closet back to thrift stores. The picture of your daughter in her little Mary Jane shoes is just adorable.